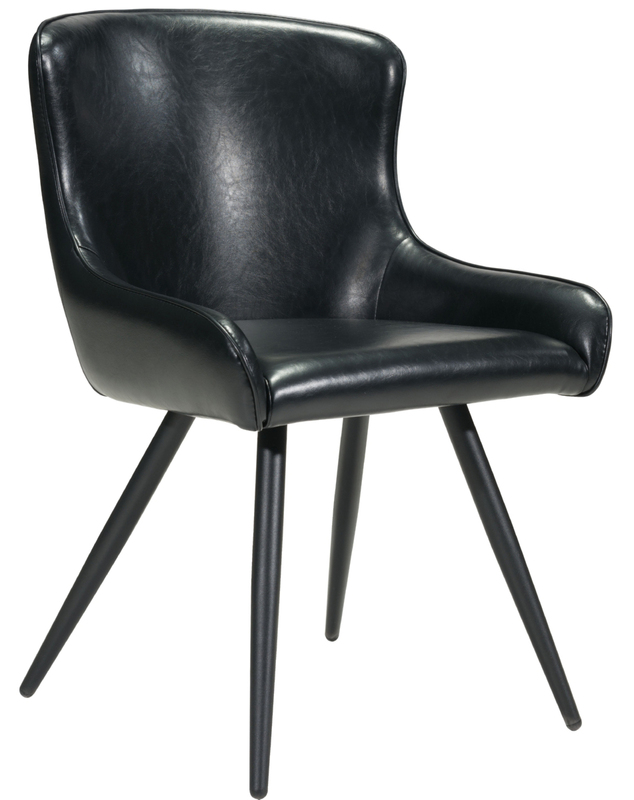 The Dresden Dining Chair Black gently cradles its user with its gorgeous curved seat design and adds a touch of mid century with class. 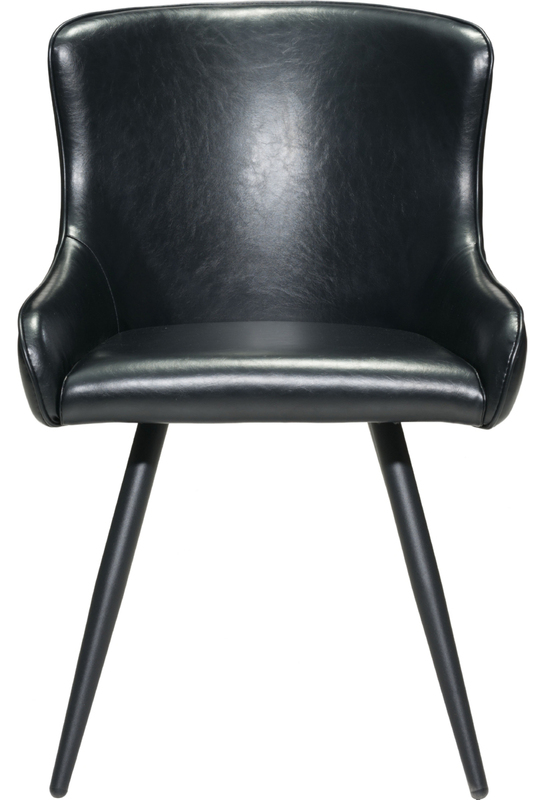 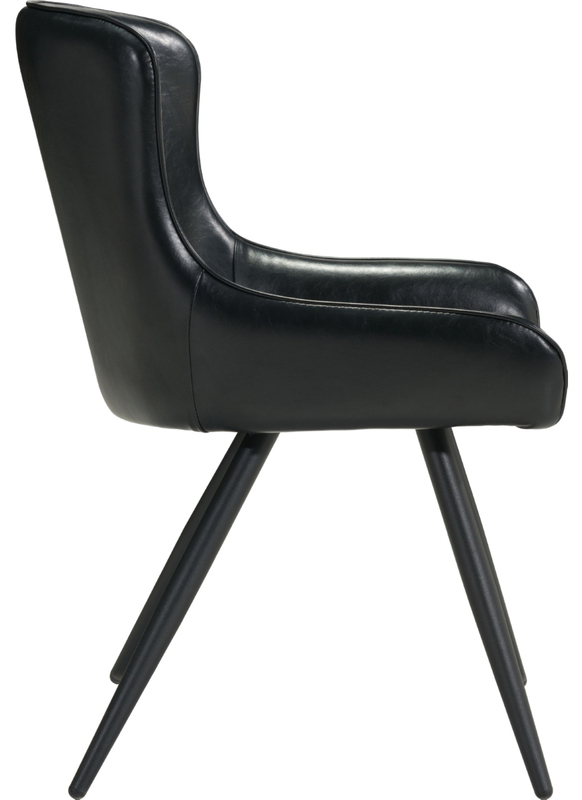 Dresden is upholstered in leatherette and rests on slender steel splayed legs, painted black. 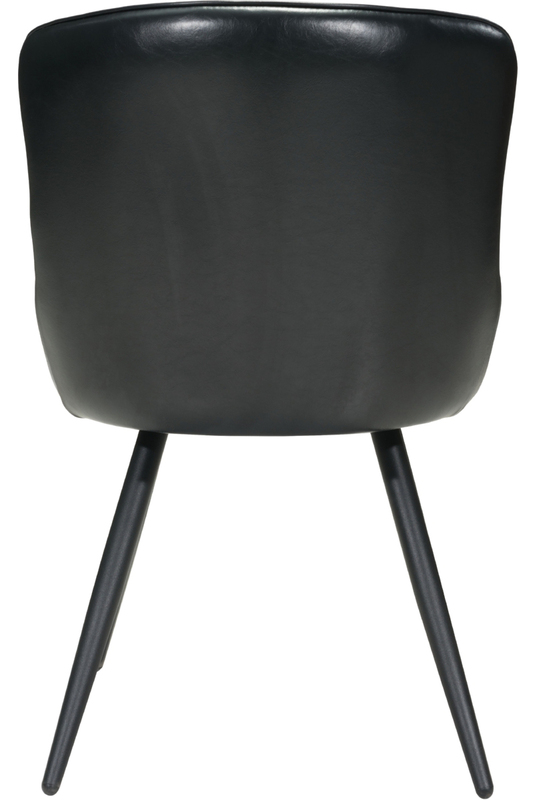 This dining chair comes in sets of 2 and constructed with a weight capacity of 250lbs.